Our next DXpedition will take place from Svalbard (IOTA EU-026) between March 30 and April 5, 2016. We will be active from the clubstation JW5E. Coal mining, tourism, and international research are Svalbard's major revenue sources. Coal mining is the dominant economic activity and a treaty of 9 February 1920 gave the 41 signatories equal rights to exploit mineral deposits, subject to Norwegian regulation. Although US, UK, Dutch, and Swedish coal companies have mined in the past, the only companies still engaging in this are Norwegian and Russian. The settlements on Svalbard were established as company towns, and at their height in the 1950s, the Norwegian state-owned coal company supported around 1,000 jobs. Today, around 300 people work in the mining industry. Since the 1990s the tourism and hospitality industry has grown rapidly and Svalbard now receives 60,000 visitors annually. Goods such as alcohol, tobacco, and vehicles, normally highly taxed on mainland Norway, are considerably cheaper in Svalbard in an effort by the Norwegian government to entice more people to live on the Arctic archipelago. 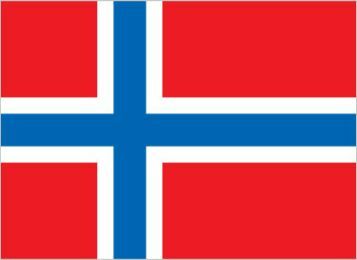 By law, the Norway collects only enough taxes to pay for the needs of the local government; none of tax proceeds go to Norway.